The landmark publication of C.G. Jung's The Red Book spurred enormous interest in Jung—not just as a founding figure in modern psychology, but also as a creative man with tremendous figurative and ornamental flair and a vibrant eye for colour. Expanding beyond that singular achievement, The Art of C. G. Jung presents a comprehensive display of Jung's creative legacy, exploring through text and image Jung's encounters with visual art as maker, collector, and viewer. While in his lifetime Jung did not wish to be considered an artist and published his visual work only anonymously, the images reproduced here demonstrate the attainment of fully realized artistic ambitions. From adolescent drawings to elaborate mosaic compositions, early seascapes to richly ornamented illuminated initials, The Art of C.G. Jung beautifully mirrors the intellectual and personal development so renowned in Jung's writings. Based in Zurich, the Foundation of the Works of C.G. Jung was established to maintain and develop the literary and creative heritage of C.G. Jung and his wife. The landmark publication of C.G. Jung's The Red Book spurred enormous interest in Jung—not just as a founding figure in modern psychology, but also as a creative man with tremendous figurative and ornamental flair and a vibrant eye for color. 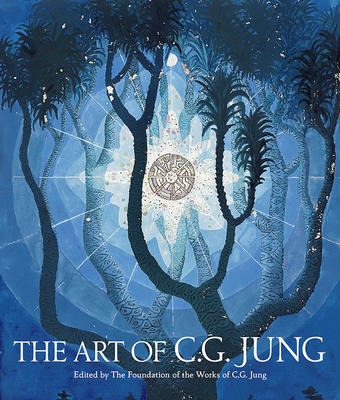 Expanding beyond that singular achievement, The Art of C. G. Jung presents a comprehensive display of Jung's creative legacy, exploring through text and image Jung's encounters with visual art as maker, collector, and viewer.